Abdelhamid Abaaoud, the suspected organizer of the Paris attacks, was killed during the Wednesday raid in the Parisian suburb of Saint-Denis. In a brief statement Thursday, prosecutors announced that a bullet-riddled body at the scene was in fact that of the 27-year-old Belgian. On social media, the French expressed both relief and surprise at Abaaoud's death. European intelligence officials had said the militant was likely in Syria as recently as Tuesday. Wednesday's pre-dawn raid was massive. More than 5,000 rounds of bullets were fired, in large part because of the resistance the police met upon entering. 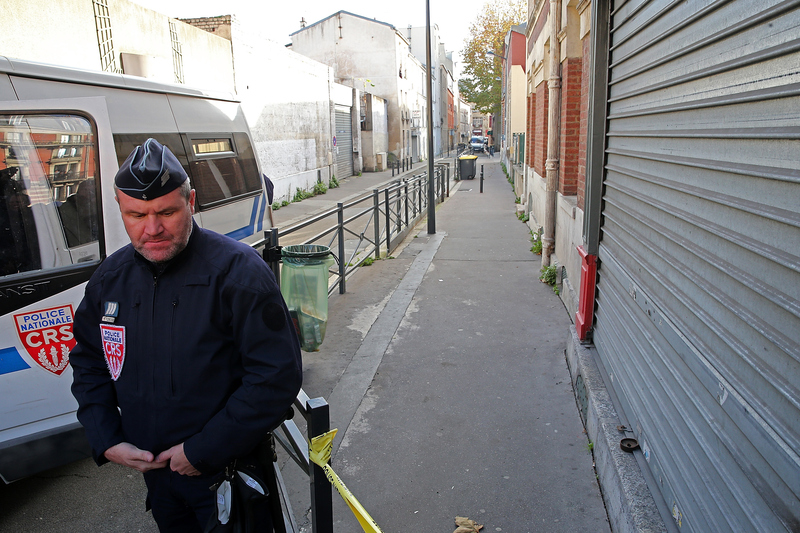 First there was an armed door, and then a woman — likely Abbaoud's cousin — blew herself up. Bullets rang back and forth for about an hour. The delay in releasing Abbaoud's name was blamed on the state of his body. He was identified by matching his fingerprints. The prosecutor's statement did not say how he died, but that his body had been discovered in the building "riddled with bullets." ... to serious concerns about how he got back to France in the first place. French prosecutors are looking into how he made it from Syria to Europe; potentially, it was with the flood of refugees entering Greece. Good news that Abaaoud is dead, but how could he get back to Paris? Then there's the possibility that he wasn't the one calling the shots. Wassim Nasr, a French terrorism analyst, said that Abaaoud was likely no more than a go-between — an operational commander. Even those trying to be respectful were glad to see him go. But then, maybe his death is just the beginning. #Abaaoud makes one terrorist less. Now let Putin, Holland and Obama take care of the rest. When you receive the breaking news alert: Abdelhamid #Abaaoud is dead!